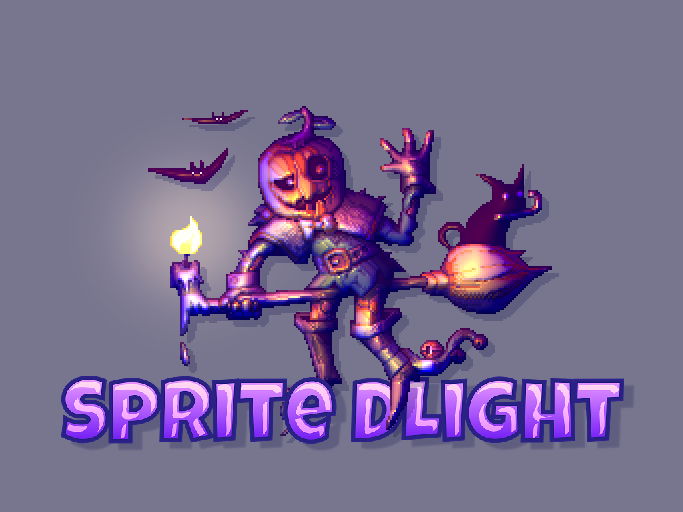 Halloween is the time of sprites and other creepy creatures, so I am very happy to present the title sprite of Sprite DLight today. 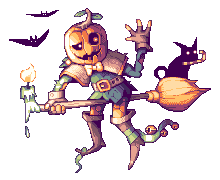 Very special thanks to the amazing artist AlbertoV from DYA Games who created the beautiful pixel art the title image is based on, specifically for the tool. The original sprite has been processed with Sprite DLight, resulting in a normal map which has been used together with the original art in a shader to achieve the atmospherical lighting effect. I am planning to introduce the project on Prefundia within the next few days and the kickstarter will hopefully launch in about 2-3 weeks. Updates will be posted here, on Facebook and on Twitter. If you are a game developer, interested in using dynamic lighting on 2D sprites, please leave me a comment, use the contact form or contact me via email!